The grass is green, the trees are blooming, it’s Spring here in Dublin, Ohio. This time of year is great to be outside and enjoy our wonderful parks. Did you know Dublin offers 56 developed parks with over 980 acres of parkland? Take a picnic lunch (Whole Foods makes a great sandwich and their salad bar offers many choices) and enjoy it beside the Scioto River. The Dublin Arts Council now offers a cell phone tour so you can hear the artist describing Chief Leatherlips – or any other of their Art In Public Places sculptures around Dublin. While you’re in Historic Dublin, stop by the newly remodeled Visitor Center to grab a Historic Dublin Walking Tour. Enjoy walking the district and sharing the history – and don’t forget to stop by some of the merchants for some local interaction! Many of the restaurants offer lunch, or if you are in the mood for a treat, try Jeni’s Ice Cream, Our CupCakery or Sisters Sweet Shoppe! Another great Spring tradition–Baseball–starts this time of year. Did you know we have a factory tour of MLB approved bats here in Dublin? 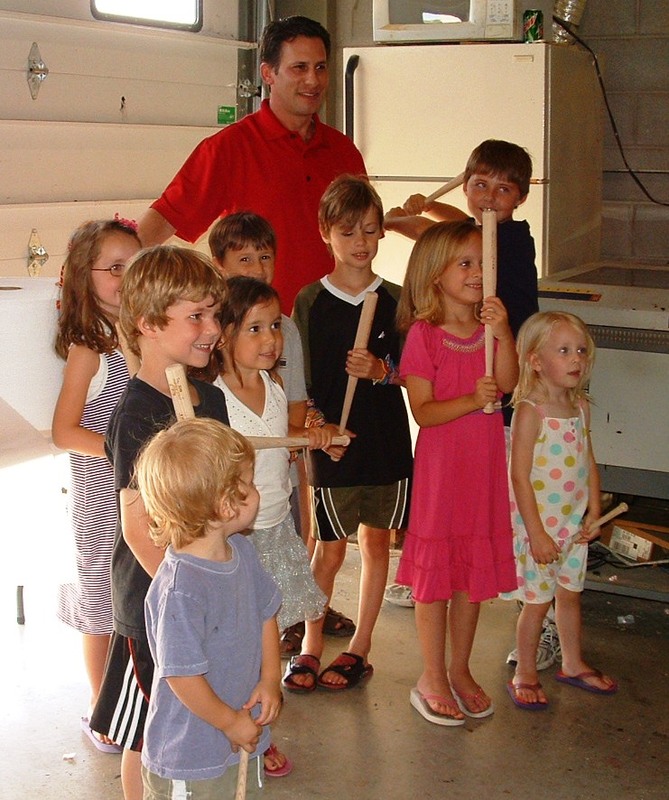 Visit Phoenix Bats where you can speak with the technicians who are making wood bats for many major league players. During your tour, you&apos;ll see a wooden bat carved in front of you in just two minutes. Visit www.phoenixbats.com for a list of tour times and details. On those rainy days, visit COSI Columbus to see the new WATER exhibit – where you can explore where water occurs on Earth, how it’s used and how we can become better stewards of our water planet. Experience hands-on and digital interactive elements, videos, wall panels, models, specimens and live animals. It may be Spring Break, but the Ohio History Center inspires kids to learn more about Ohio’s great history. Explore Ohio’s natural history through its plants, animals, geology, geography and climate. Walk under a giant mastodon for a tour of Ohio from the ice age to the present. Kids will love the specimens available for touching, computer displays and special kids play areas. Columbus Zoo and Aquarium offers year-round fun for kids of all ages. Meet polar bear twins Anana and Aurora, get nose-to-nose with manatees at Manatee Coast, venture through a nocturnal animal facility, ride a 1914 Mangels Illions carousel, and meet "Hank" (all 15,600 lbs of him)--the elephant that is winning hearts every day. Have a fun and happy Spring Break spending time together as a family! For more information about special events and attractions in and around Dublin, Ohio, visit the Dublin Convention & Visitors Bureau&apos;s website: www.IrishisanAttitude.com or call 800/245-8387.